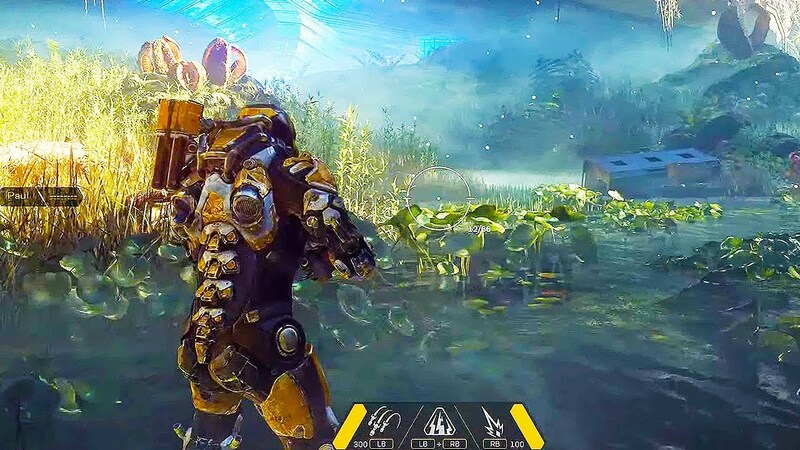 While we’ve already seen how Anthem plays in the various gameplay videos BioWare has released, there’s a lot more to the shard world shooter than just shooting things; each javelin has different abilities, ultimates, and even melee attacks. If you want a crash course or cheat sheet on the Anthem damage chart, we’re here to help! 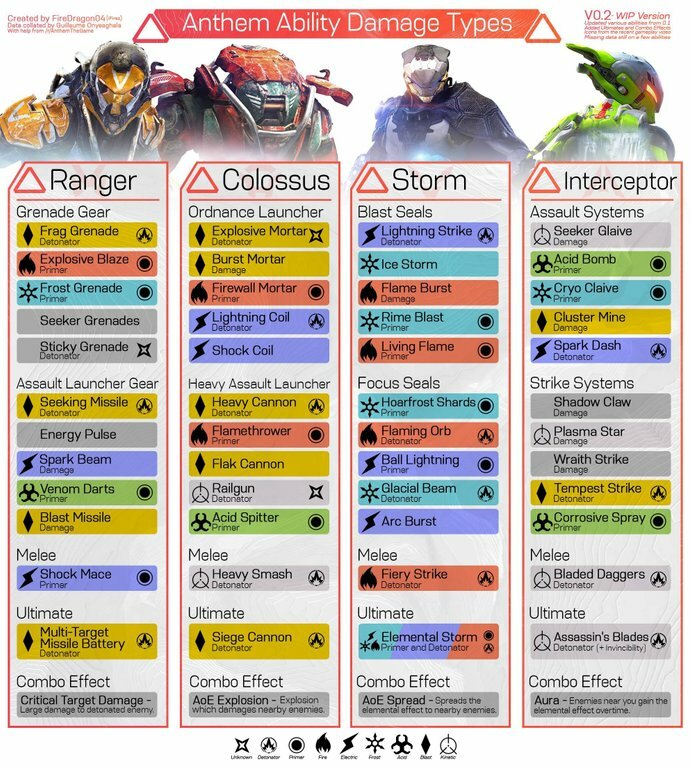 Twitter user Matt Needler (FireDragon04), has whipped up a quick Anthem damage chart graphic that outlines most of what’s known so far. Check it out below (reposted with permission). NOTE The new star shaped icon that can be seen on the chart is currently unknown what it means, it is possibly a single target or aoe type of detonator ability. We have only seen it twice so far (gameplay video today and the livestream [sticky grenade] so we’re not sure what it is for yet). However I speculate that this star icon is to show AoE detonate abilities while the other icon is for single target detonators. In other Anthem news, BioWare released a new six-minute video detailing the story, progression, and customization players can expect in the game. If you need help redeeming a code or how to download the demo client, check here.